In the recent BBC English Identity discussion, they asked people in various towns and cities to describe themselves. Where Brighton describes themselves as ‘seaside’ ‘liberal’ and ‘fun’ - the people of Bedford identified themselves using the terms, ‘the river’ and ‘unassuming’. They forgot to mention the fact that it’s a hotbed of religious discussion and the location of the Garden of Eden. Bedford in the 1910s and a woman called Mabel Balthrop has learnt about Joanna Southcott and her prophecies, which had been sealed in a large box and hidden by her followers. Despite family resistance, (including locking her in a mental home for a while) Balthrop created a community around her. Then she started to have her own visions and prophecies. By 1919, followers congregated around her house in Albany Road in Bedford, calling themselves ‘The Community of the Holy Ghost’. This community bought houses around the area, knocking the gardens through to form ‘The Campus’. There they lived a quiet life, dedicated to the teachings of Mabel Balthrop who had been renamed Octavia. The reason for this is that Balthrop was regarded as the final part of ‘the Visitation', a succession of seven previous prophets (of which Joanna Southcott was regarded the second). Followers began to believe Octavia was the coming of the Daughter of God, the child Schiloh who had been Joanna Southcott’s original pregnancy. Beliefs in this community also included the fact that the back garden of The Campus was actually the original Garden of Eden. 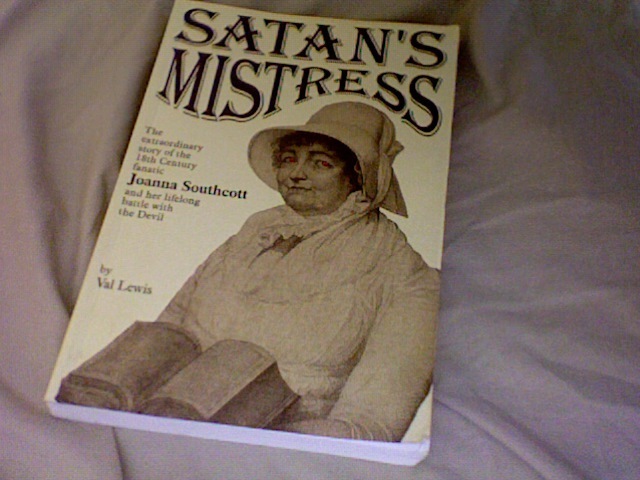 One of their main focuses was to gather 24 Bishops together to open the box of Joanna Southcott’s prophecies. They believed the box would initiate the end times and contained teachings to navigate them. To make this easier, they outfitted a house with a special box-opening room, bedrooms for all the Bishops, bathrooms and a dining room. They also stockpiled soap and practiced cooking for them all so they were ready when the moment came - which it never did. They also believed in healing squares of linen which Octavia had breathed on. These squares were drunk with water and regarded as a panacea (an item of universal healing). 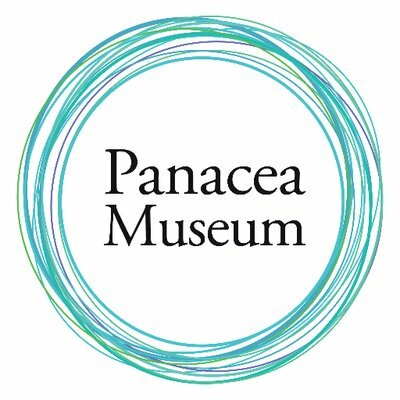 Changing their name to The Panacea Society, they sent these squares for free to thousands of people around the world, many of whom reported healing. They also buried the linen at the cardinal points in a twelve mile radius of The Campus, protecting Bedford from spiritual harm. Unfortunately, this extraordinary society died out in 2013 and The Campus was turned into The Panacea Society Museum. Which I visited. I spent four hours wandering The Campus and looking at the museum. The first floor of the Castleside building (the one fitted for Bishops) dealt with the history of the society itself. The Box opening room was set up ready for the Box to be opened (though wonderfully, the actual Box itself is still hidden for tradition’s sake and the box there is merely a replica). Upstairs are the Bishop’s common room, bathrooms and an example of a bedroom are still available to see. The top floor of the building puts Octavia in context of The Visitation, which is a fascinating story of odd prophets that involves diverse topics as baseball, huge towers and the invention of the automatic ten-pin bowling machine. The items in the Southcott room include baby clothes and a cot created for Southcott’s second-coming baby Schiloh, and examples of Southcott’s ‘passports to heaven’ which people took to the Napoleonic wars for luck. Other parts to visit were the cute custom-built chapel, the rec-room where members listened to the wireless, and Mabel Balthrop's house. It's presented just as she left it, a creepy place with her glasses case left by her bed and her knitting in the parlour. The displays detail the complicated relationships of Balthrop and also the shock of her death in 1934 - very unexpected due to the fact that she was the Messiah. The museum is a fascinating one (and free). There’s something wonderful and engaging about a society that combine end-time millennial religion with Edwardian tweeness. I also bought a very interesting book about Octavia the Society. But that’s not all Bedford has to offer. Also for free is a museum dedicated to Bunyan. Run by the chapel descended from Bunyan’s own, it is a small upstairs room crammed with Bunyan relics and memorabilia. 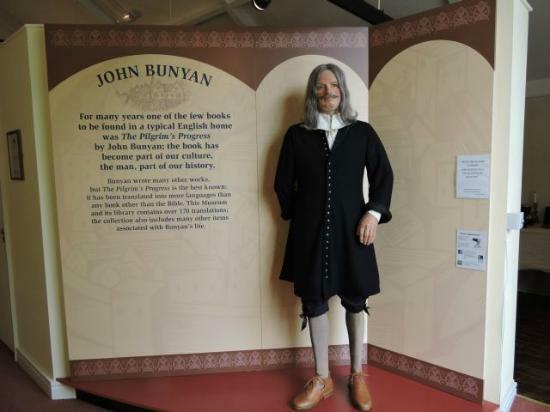 Presented in our favourite 90s style of rigid, ‘speaking’ mannequins, it tells the life of rebel-turned-religious-proselytiser, John Bunyan. For fans of Bunyan, and Pilgrim’s Progress in particular, the collection is unique. It includes the wicket-gate that inspired the one in the book, some of Bunyan’s work as a tinker, a pulpit he preached in and the door to the jail cell he was locked in for twelve years. What is strange, is that although he was locked up for preaching, he was occasionally allowed to be let out - to preach. It’s a nice little museum - and stands almost exactly opposite the Panacea Society Museum. Also, just across from that stands the Higgins, a weird mashup museum dedicated to the history of Bedford (interesting) and Cecil Higgins’ collection of ugly furniture and porcelain (less so). So Beford… unassuming but full of hidden pleasure and a great day out.